In Washington State’s Senate race, there were 1,559 ads aired during the month-long period, at an estimated cost of $500,000. Of those ads, 1,461 were sponsored by Democrat Maria Cantwell with 98 sponsored by Republican challenger Susan Hutchison. There were no ads from outside groups or party advertising. For House Races, Washington’s 8th CD is the only Washington race in the top 20 based on ad airings between September 18th and October 15th. The race between Dino Rossi and Kim Schrier had 6,217 airings during this time period, estimated at $4.2 million. Republican groups aired 961 ads for Rossi, outpacing Democratic groups that aired 246 ads for Schrier. 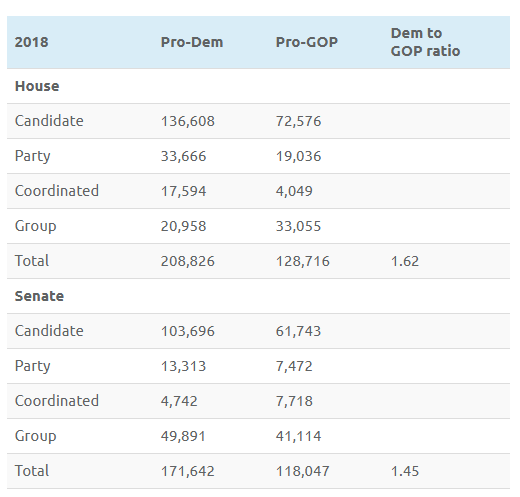 However, ads from Schrier (2,496) and the Democratic party (1,120) give Democrats the advantage in ads during the month with Rossi sponsoring 636 ads and the GOP party sponsoring 758. 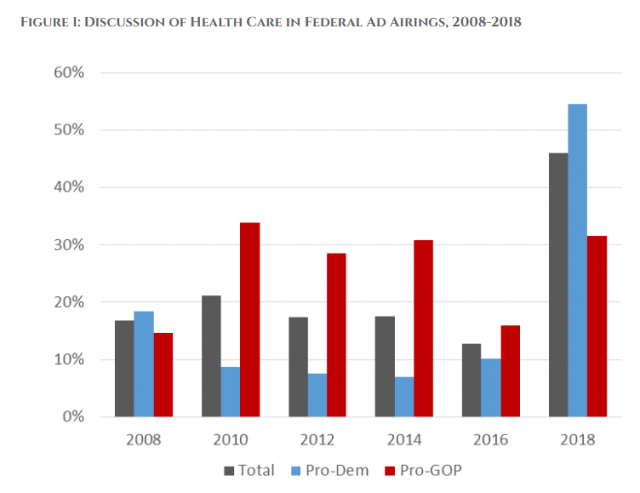 Additional data on spending, issue trends, and top groups involved in federal campaigns can be found here. This story has been cross-posted at our sister site the Washington State Wire.